WHAT: The University of Illinois Springfield Public Health Department and the Illinois Department of Public Health Office of Minority Health presents “Reducing Disparities: Strategies for Achieving and Sustaining Healthy Communities” featuring Mushtaque Chowdhury, the vice chair of BRAC, an international development organization based in Bangladesh which is the world's largest non-governmental organization. The event is free and open to the public. WHEN: Monday, November 13, 2017, from 6 to 8 p.m. DETAILS: There are many determinants, such as income inequality, poverty, and education that have profound effect on one’s ability to be healthy. Chowdhury will bring a global perspective on strategies for reducing these inequities. He will discuss his experience in improving health outcomes for residents of Bangladesh by addressing social determinants. The audience will gain a better understanding of how social determinants affect health and identify strategies that could be applied to vulnerable communities in Illinois. 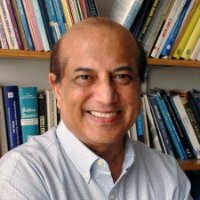 Chowdhury formerly served as executive director and founding director of the Research and Evaluation Division and founding Dean of the James P. Grant School of Public Health. He is also a professor of population and family health at the Mailman School of Public Health at Columbia University in New York. During 2009-12, he worked as the senior adviser to the Rockefeller Foundation, based in Bangkok, Thailand. He also served as a MacArthur Fellow at Harvard University. Chowdhury was a coordinator of the UN Millennium Task Force on Child Health and Maternal Health, set up by the former Secretary General Kofi Annan. He has published nearly 200 articles in peer-reviewed journals. Chowdhury is a founder of the Bangladesh Education Watch and Bangladesh Health Watch, two civil society watch-dogs on education and health respectively. He has recently been nominated as the recipient of the Ronald McDonald House Charities’ “Medical Award of Excellence” for 2017. For more information, contact Josiah Alamu, associate professor and chair of the UIS Public Health Department, at 217/206-8485 or jalam3@uis.edu.